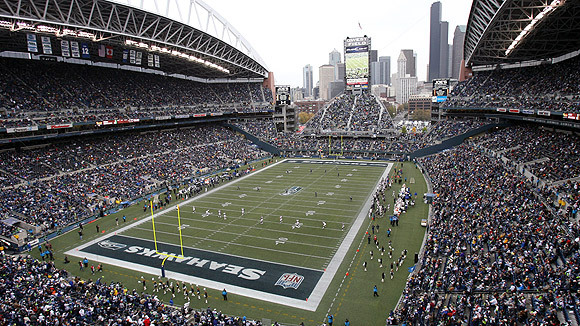 **Official Game-Day Thread** Texans at Seahawks, Sunday Oct 29, 2017!! Discussion in 'Texans Talk' started by TejasTom, Oct 29, 2017. Officiating Crew: Terry McAulay "Odell Beckham is no fan of referee Terry McAulay’s crew"
santo and ROO like this. I haven’t been following up with the McNair story. I’m too wrapped up in the World Series. So what’s expected to happen today? I would have to hit the road on today. Good thing one of my buddies will streaming the game on Facebook. Or I will have to watch the game after 3 pm from my directtv app. He spoke to the players yesterday and supposedly it went over well. 75% or so of the team is expected to protest during the anthem. Players privately told members of the media they don't accept McNair's apology. At least a few players told Shaun King they don't want to play but have to because of contracts. Duane Brown is still vocally opposed to Bob McNair. Deshaun Watson has 15 Pass TD in his 1st 6 games; per @EliasSports research, he needs 3 today to match Kurt Warner's record through 7 games. Money over principals, please tell me that it ain't so ! Anyway these guys don't seem to have a clue about how counterproductive their demonstrations are. This is unfortuante for the teams PO prospects this season because it would take a max effort from the whole team to stand a chance to win up in Seattle. The players know good and well how their demonstrations are perceived. But up until McNair opened his mouth, the Texans’ protest has relatively benign compared to other teams. But not now. One thing is for sure. If they lose today, I won’t be blaming it on the players or O’Brien. I wouldn’t accept McNair’s apology either. Why not? He said he was referring to the owners and league in his comment. Do you think he’s lying? Bulls on Parade 2017 Astros: Earn It! Deshaun as a rookie in this league, is already doing things not seen since the greatest show on turf. That's very impressive. We have nowhere near the fire power on offense that Kurt Warner had. If Duane Brown can pretend the D-Linemen and edge rushers are Bob McNair (take out his frustrations) perhaps he can play at an All Pro level again. And we can have an Orlando Pace clone. There are several threads in the NSZ to discuss the ongoing political issues. Please take the politics there instead of here. Thx. xtruroyaltyx and edromeo like this. If I feel the actions of the owner will affect how the game will be played today, it belongs here. Thx. I'm excited for this game. Could see this game going several different directions. My gut tells me an ugly low scoring game because both teams can struggle with the OL. Seahawks because their OL is terrible, Texans because their OL isn't good enough to deal with the Hawks front. The Hawks can be run on and the non-Sherman CBs can be thrown at. Watson is going to get pressured but he's been good under pressure thus far. But Watson can't make risky mistakes against this secondary because Earl and Cam are about as good as it gets....so I doubt they're going get beat over the top. Watson is gonna have be methodical and hit in the short to intermediate passing game. Looking forward to a good one! We getting this W today. otisbean and BigBull like this. Or they don't care. They're getting paid regardless. It would behoove the owners to find a solution, or the networks. They're the ones hurting. I really hope defense can get to the QB. Vandemeer just reported the majority of the Texans took a knee during the national anthem. Seattle wins the coin toss & defers. Seahawks won the toss and Defer. Here we go guys. This is where it all matters and all counts.